A recent study by researchers from USA has sounded the alarm on the link between pesticide exposure and autism and behavioural development problems in children. The study carried out by the researchers from the University of California, Davis, found that pregnant women who live near—within 1.25 to 1.75 km—agriculture sites where pesticides are applied on a commercial scale had over 60 per cent increased risk of having a child suffering from health problems like autism, a neuro-development disorder that manifests between the ages of two and five. Commonly used pesticides are toxic for the brain and may show threats to its development during pregnancy, says the study. During early development, the neural system of the foetus is formed by the process of continuous cell division. The brain at the time develops synapses, the junctions between the neurons, where electrical impulses are formed to pass on messages. The formation of these junctions is extremely vital and exposure at this juncture can be extremely harmful. The study examined associations between specific classes of pesticides, including organophosphates, pyrethroids and carbamates, applied during the study participants' pregnancies and later diagnoses of autism and retarded behaviour in their children. The result was published online in Environment Health Perspectives on June 23, this year. The study was carried out in California by examining the commercial pesticide application data from the California Pesticide Use Report and linking the data to the residential addresses of approximately 1,000 participants. The study included families with children aged between two and five who were diagnosed with autism or developmental delay or with typical developmental problems. For the study, surveys were used to obtain the participants' residential addresses during the pre-pregnancy and pregnancy periods which were then overlaid on maps with the locations of pesticide-use reports to determine the possible effects. 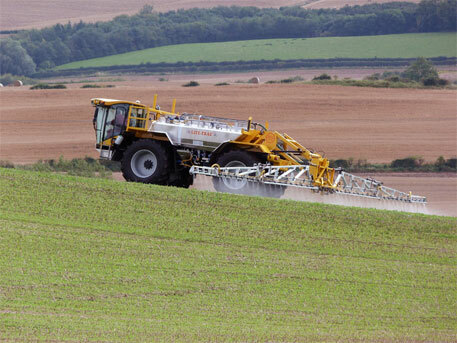 The study also examined which participants were exposed to which specific agricultural chemicals. The results showed that exposure to organophosphates like chlorpyrifos in the second trimester was associated with an elevated risk of autism spectrum disorder. Exposure to pyrethroids immediately prior to conception and in the third trimester was moderately associated with autism spectrum disorder. The study has emphasised the importance of eating properly during pregnancy, particularly the use of vitamins to reduce various risks in the child’s development. While it's impossible to entirely eliminate risks due to environmental exposures, Irva Hertz-Picciotto, the lead researcher as well as a MIND Institute researcher and professor and vice chair of the Department of Public Health Sciences at UC Davis, said that finding ways to reduce exposures to chemical pesticides, particularly for the very young, is important. One of the authors of the paper, Janie Shelton of Department of Public Health Sciences, University of California, Davis, said that in children who cannot metabolise the pesticides as quickly as adults, the effects may accumulate over time, resulting in greater chances of health problems. “I do think that exposure to pesticides could pose a significant risk for neuro-developmental problems in India, particularly for children of farmworkers and of parents who may be occupationally exposed,” she added. There are some people who have a type of the gene—PON1—which controls the level of paroxonase in the body, that metabolises organophosphate compound. People with low levels of paroxonase are more slow to rid the body of organophosphate pesticides than others. A recent study on “Distribution of PON1 polymorphisms PON1Q192R and PON1L55M among Chinese, Malay and Indian males in Singapore and possible susceptibility to organophosphate exposure,” in March 2009 in the publication Neurotoxicology shows people of Indian origin may have lower levels of paroxonase than others. The authors of that study concluded those of Indian origin may be more susceptible to the effects of organophosphate pesticides than others. The message of these studies is, therefore, very clear: Women who are pregnant should take special care to avoid contact with agricultural chemicals. The study is available on India Environment Portal.